Stamped Sophisticates: Happy Birthday with Count My Blessings copper flowers from Stampin' Up! Happy Birthday with Count My Blessings copper flowers from Stampin' Up! Copper Happy Birthday Flowers from Stampin' Up! Signed up for the Oct 8 card class? This fall birthday card glowed in the setting sun coming through my craft room window as I photographed today's card. I fell in love with the Count My Blessing stamp set from the Holiday catalog as soon as I saw it, but today was the first time I've had time to create something with it. I needed a fall Birthday card and the combination of the Copper Foil Sheets, the Happy Birthday Die and the Count My Blessing stamp worked very well to create a very fast, yet stunning-looking card. The basecard is Night of Navy, then a layer of Copper Foil and followed by a layer of Night of Navy embossed in Copper using the Count My Blessings stamp set. The Happy Birthday Thinlit Die was used to cut the words Happy Birthday from Copper Foil sheets and Night of Navy. I layered the Copper Happy Birthday on top of two layers of Night of Navy slightly offset from the Copper Happy Birthday creating a drop shadow. I tried several ribbons on the card, but decided the card didn't need anything else. A few tips when embossing: Dredge your Night of Navy layer with the powder in the Embossing Buddy before stamping with Versamark to ensure that the embossing powder only sticks to the wet Versamark ink. If the Versamark in starts to dry while you stamping, just before you add the embossing powder, huff on the Versamark to re-wet the Versamark. I mounted all three flowers and leaves on one large clear block to stamp my first impression to save time. Then I moved the leaves stamp to a smaller block and stamped around the edges of the layer to fill in the design on the edges of the layer. I used a very small brush to remove any stray embossing powder before I use the Stampin' Heat tool to set the embossing powder. It was difficult to photograph the shimmer of the Copper Foil, but with the setting sun steaming through my window, I think I captured the detail of this beautiful card. This is just how I imagined this card in my mind. I'm always so happy when my vision turns out as well as my mind pictured it! Click on an image below to see larger product images and to go directly to my Stampin' Up! store to find out more about each product used in today's cards. Download a free copy of the new Holiday catalog here. You'll want to place your order soon to receive your products with plenty of time to make your fall and Halloween projects. You'll enjoy yourself at the October 8 class. We'll make the projects pictured below. Four cards use the fabulous Coffee Cups framelit dies and the two different coordinating stamp set. Then we'll make a couple of Halloween cards, as well as a great little Thanksgiving or Fall hostess give. You'll play with new stamps, punches and dies and you'll leave with 6 full-size greeting cards plus 3 Fall 3 X 3 gift cards and a small gift box. The gift cards are a perfect hostess gift for the holidays. You'll be proud to send these cards to friends or family the next time you need to send a note to someone you love. World Card Making Day Sale run Oct 1-10. Save 15% on select Stamp sets and Stampin' essentials. Don't miss these great savings! 1. Place a $300 order (not including tax or shipping) during October and get the Merry Patterns Stamp Set FREE. 2. Buy 3, Get 1 Free when you purchase Select Designer Series Paper. 3. 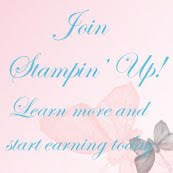 Orders over $150 (less tax and shipping), qualify for shopping rewards. 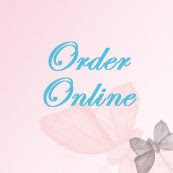 Free merchandise you can add to your order.